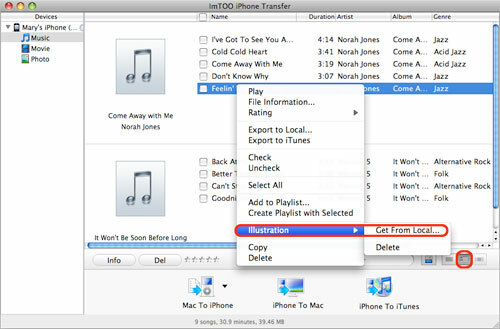 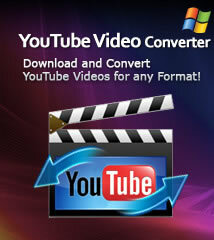 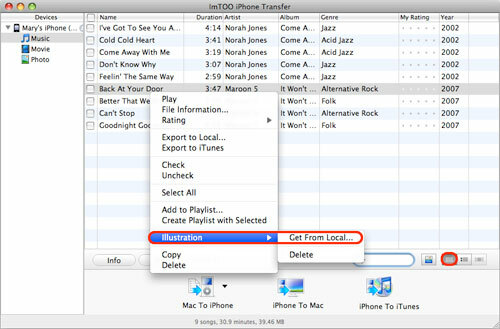 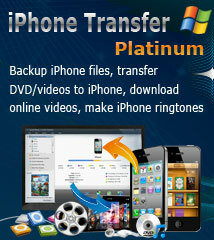 ImTOO iPhone Transfer for Mac transfers files between iPhone and Mac and also from iPhone to iTunes. 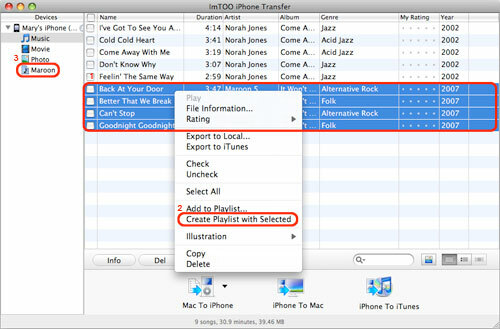 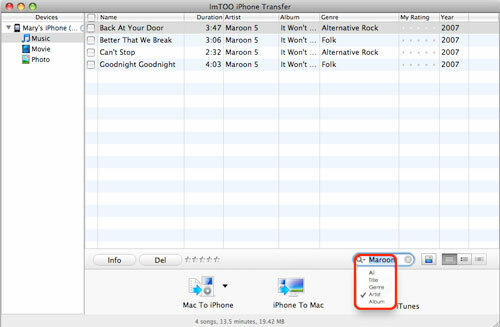 Here we will show you how to transfer and manage iPhone files with ImTOO iPhone Transfer for Mac step by step. 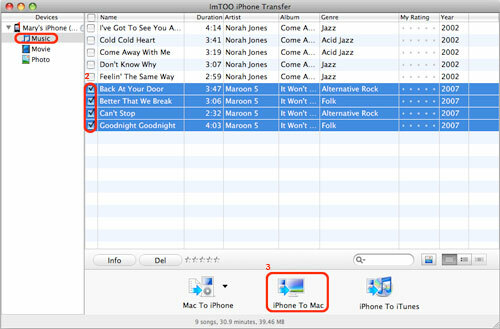 Firstly, please download, install and run ImTOO iPhone Transfer for Mac, and make sure you have iTunes 7.4 or above version installed. 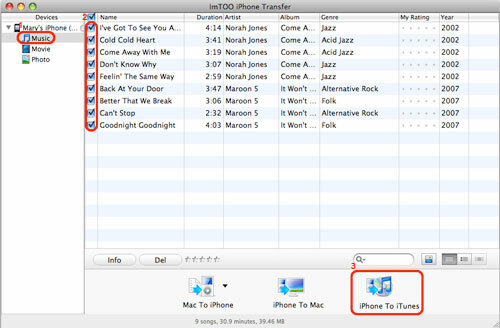 Secondly, connect your iPhone to PC via USB cable. 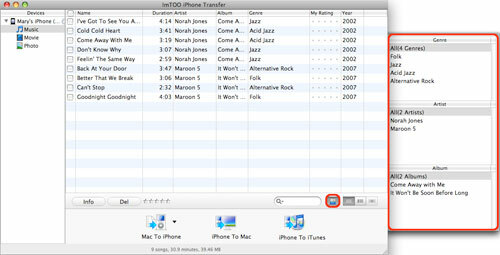 The software will automatically detect your iPhone and show its device info on the right window. 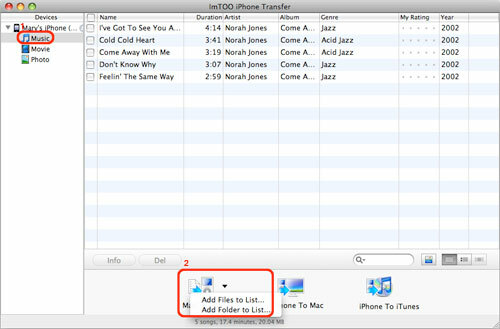 Step 2: Click "Mac to iPhone" button, and choose "Add Files to List..." option from the drop-down list, then select the required files in the dialog that opens and start to transfer them to iPhone.